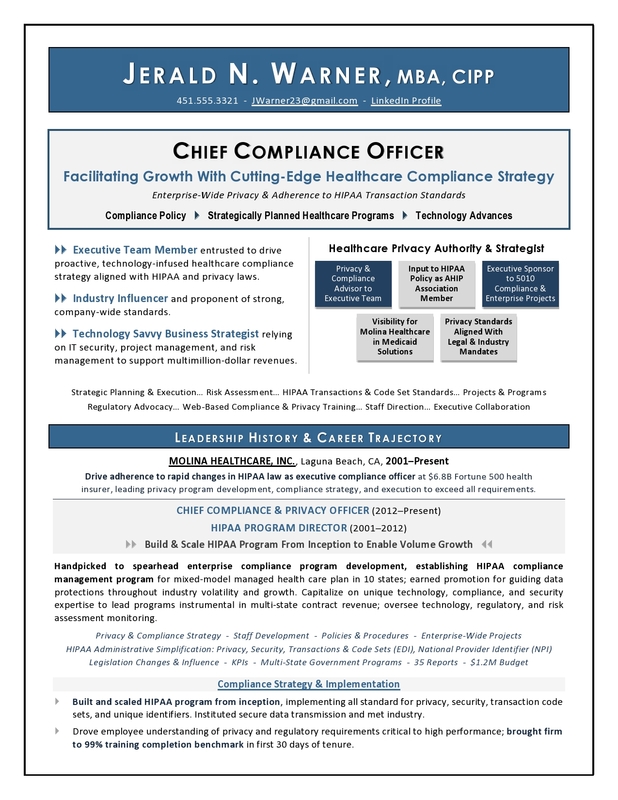 Award-Winning Chief Revenue Officer Sample Resume, CRO Resume & Executive Resume Writer. Ready to showcase your strengths as a revenue driver and strategic leader? You’ll need a personally branded resume that quickly gets attention and summarizes your career wins. This Chief Revenue Officer resume won a TORI award for Best Executive Resume – and a new Revenue Officer position within days. 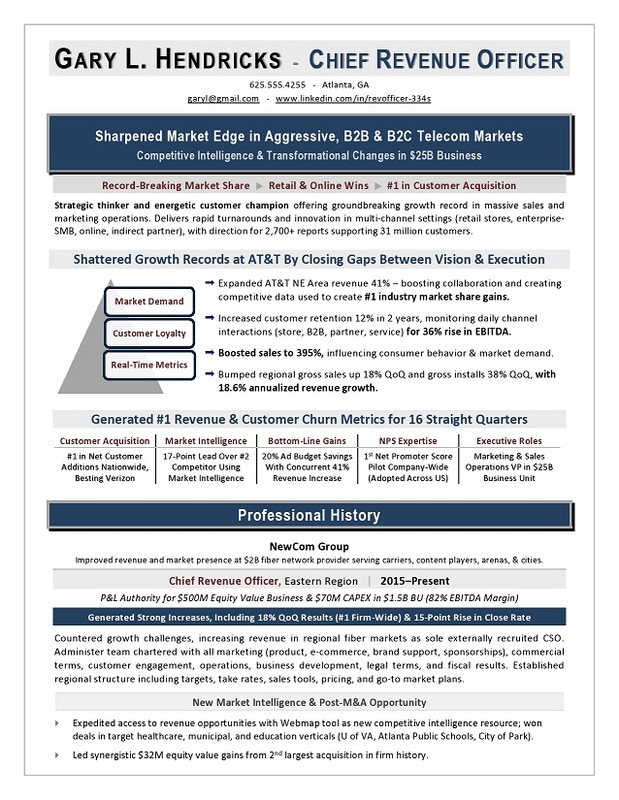 The first page of this award-winning, real-life Chief Revenue Officer resume is shown below. 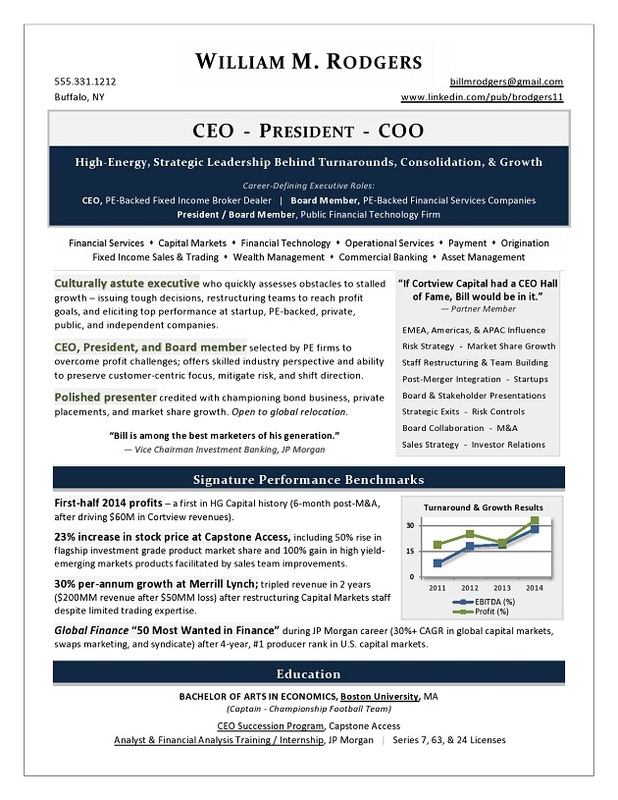 Why choose my executive resume writing services for your Chief Revenue Officer career? When you’re pursuing a CRO role, employers need to see you as the solution to top-line growth, market reaction, and expansion strategy. My personalized, one-on-one service is designed to draw out the qualities employers seek – forming a powerful personal branding message that gets RESULTS. Contact me for a personal review of your needs and career goals.